Probable entry living with father and sister at Richmond Street. John was born in Longford in 1889, and had a brother Michael and a sister Maria (Feehily), Annie (Callaghan), Bridget (McKeown) and Norah (Geoghegan). 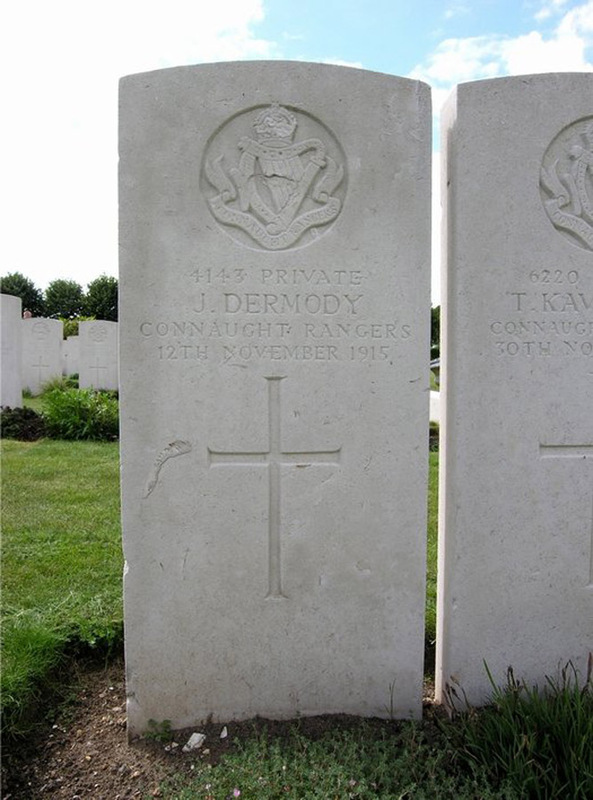 Pte Dermody enlisted in the army in February 1908 at Mohill Co. Leitrim. He served overseas in the Balkan Theatre, but died of illness in England. Died as a result of dysentery.